Radio was the medium that broke the silence. 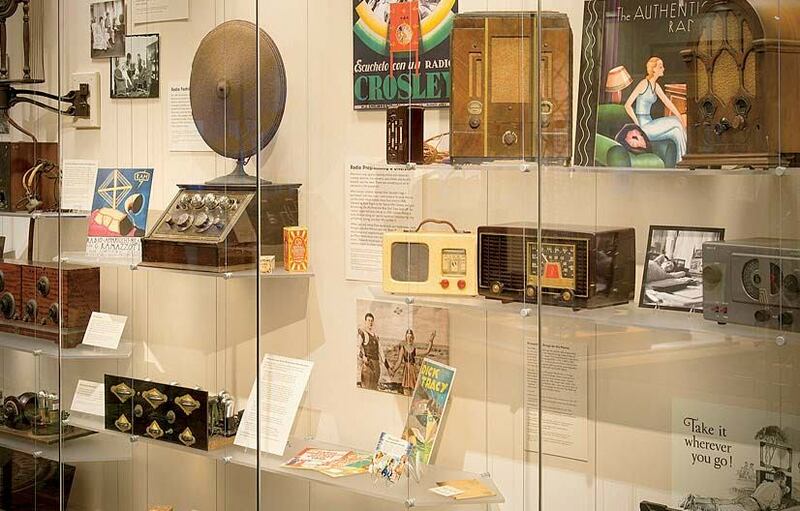 The Collection of Historical Scientific Instruments, in the Science Center, has opened a new exhibition in the second-floor Special Exhibition Gallery called “Radio Contact: Tuning In to Politics, Technology & Culture.” It runs through December 9 and is open to the public free of charge. 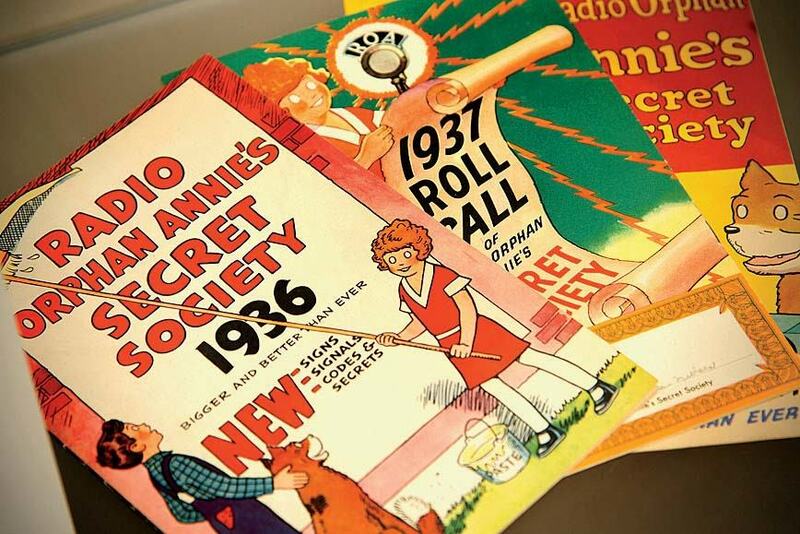 Radio broadcasting roared onto the scene in the 1920s, when the first commercial broadcasting stations hit the air with a variety of programs. An introductory text panel for the exhibition sets the scene: families gathered around their sets to hear news on the day it happened. An opera performed in the city could be enjoyed upstate; a Chicago baseball game on the farm. The next 30 years were a Golden Age. Radio delivered dramas such as The Shadow and Mary Noble, Backstage Wife. It introduced millions to jazz, the comedic duo of Abbott and Costello, the iconic voice of newsman Edward R. Murrow. 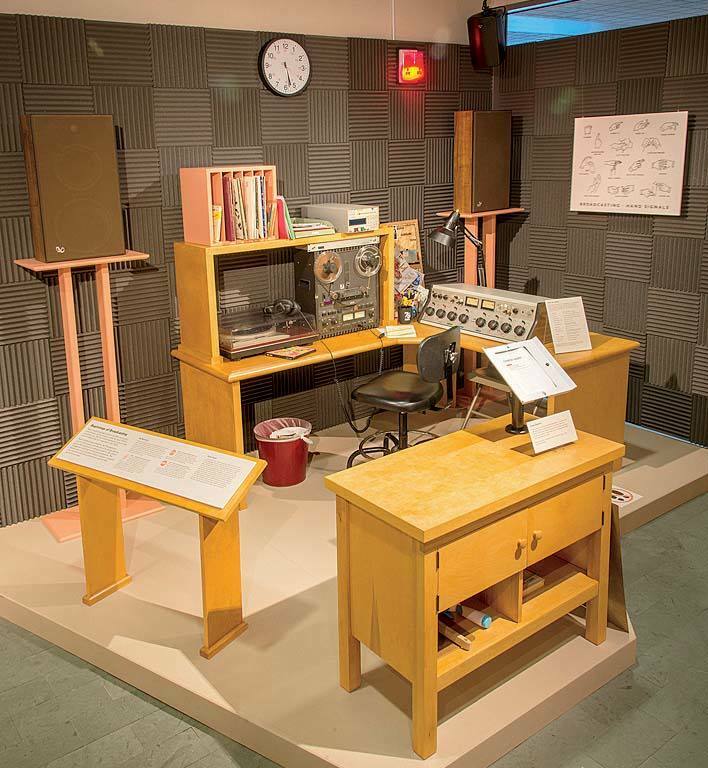 The exhibition examines the changing technology and culture of listening, tinkering, and broadcasting. The listening section includes a six-speaker sound installation and interactive radio. Museumgoers can listen to once-live news broadcasts of historic events, play-by-play of sporting events, oldie-but-goodie songs, and past political harangues. 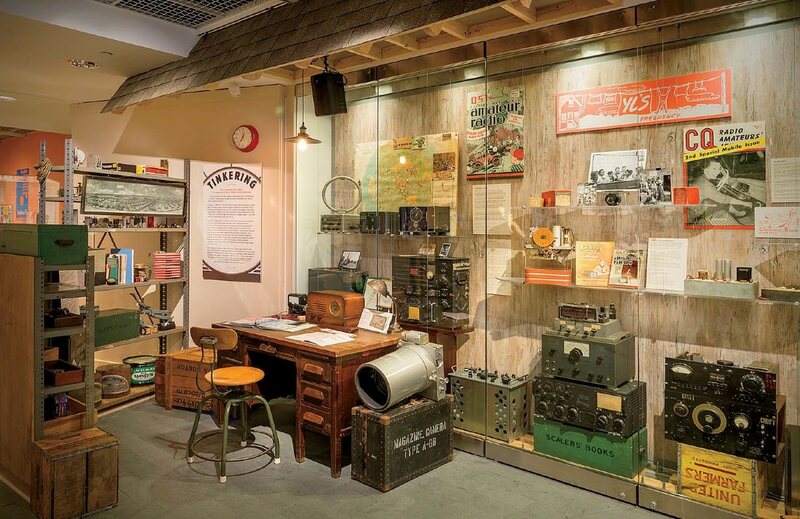 “Radio Contact” offers temptations to explore to visitors of most ages, from the old boy wanting to revisit the thrilling days of yesteryear, to today’s well-wired child. Several curatorial students helped assemble the exhibition, and some of them may have learned to their surprise that tuning a radio might require more than pushing a button. They may have learned that grandparents or parents, as teenagers, were out in the garage messing around with crystal sets they had built themselves, fiddling with the so-called controls to hear the faint, unamplified voice of another human being out there on the airwaves trying to communicate.